As I have done on occasion, I am going to use this letter to spotlight one of our departments. The departments are the true motors of the College. Faculty members are organized into departments based on expertise and intellectual distinctiveness. The various majors and programs reflect that distinctiveness and are offered through the different departments. Each department corresponds to a functional discipline in the business world, and each has its own unique identity and professional affiliations. Indeed, every great College of Business is a reflection of its great departments. One of our great departments is the Department of Management. For most of my career, I was a professor of management and a member of a management department. The discipline itself deals with topics like organization, leadership, competitiveness and strategy—important stuff. Our Department of Management has created concentrations that draw from these high-level issues and focus on specific areas of application. One of those concentrations is human resource management; every organization benefits when its HR practices align with strategy and when its people are able and empowered to make the place better. Another concentration is entrepreneurship. As you may be aware, we are building a world-class engine of innovation and entrepreneurship that is changing the landscape of Statesboro and that will impact the economy of this state and region. The final concentration is in hospitality management. The demand for well-trained hospitality managers, who have broad business knowledge and good business skills, is great and growing. We have identified that niche as an opportunity, and our faculty and students are moving to fill it effectively. The Department of Management also contributes to our highly-ranked MBA programs, providing expertise in the areas of leadership and strategy; both are key topics for graduate business education. Finally, the Department of Management contributes to the scholarly reputation of the college, as our management faculty members publish their research in a variety of well-respected journals, which, in turn, enhances our reputation, deepens their expertise and creates a more vital and rigorous learning environment for our students. And so, I take this opportunity to give a shout out to the Department of Management, its faculty, staff, students and alumni. Every great College of Business is a reflection of its great departments. And we are very proud of our Department of Management. Keep doing what you do, and keep up the great work! Allen Curreri (MBA, 2006) is vice president of national and international sales at Letco Medical, a large pharmaceutical company, a position he would never have achieved without his Georgia Southern MBA. Allen is responsible for a sales force in the U.S. as well as supporting international partners throughout the world. Although his fondest memories of his time at Georgia Southern are of the beauty of the campus and of walking from building to building and enjoying the architecture and layout and design of the campus, Allen credits the non-profit management class he took while at Georgia Southern with preparing him to work with other non-profits. In addition, he uses what he learned in his quantitative analysis and supply chain management classes at work every day. Since the world of business is constantly evolving, Allen knows that it is important to stay on top of what is happening in cultures around the world to better capitalize on the business relationships his firm currently has. Allen advises recent graduates to never stop learning. He adds that to be competitive today, it is necessary to continuously learn new technologies, new languages and new cultures. As part of his job, Allen travels extensively. In the past ten months, he has been to South Korea, Germany, France and England. While there, he enjoyed experiencing the different cultures, eating local cuisine and seeing beautiful cities. The best part of his job is meeting new people from around the world. He states that business people must study parts of other languages to communicate and navigate while in other countries. Case in point- Allen was in Germany two days after the Paris attacks. While the transportation systems were shut down, he had a little trouble traveling between Dusseldorf and Cologne since his knowledge of German was limited. He was able to quickly sort out the problem, but it was definitely a real challenge. Allen says his proudest accomplishment was the completion of his course work for a Ph.D. in management from Case Western Reserve University. He is currently working on his dissertation and expects to defend it in either December 2016 or January 2017. Once he is finished with his Ph.D., Allen plans to create a consulting firm to conduct research and do work on healthcare policy and implementation. He hopes to recruit top talent from Case Western Reserve and Georgia Southern to put together the best team in the market. In his spare time, Allen enjoys biking, but running is his real passion. Most days, he runs six miles. He also loves spending time with his 22-month-old son. Twenty-two students from the College of Business spent the week of May 9–14, 2016, visiting some of the most preeminent Wall Street firms that are among the most important participants in the U.S. and Global Financial Systems. Each visit was unique and provided students with rare, inside perspectives into the financial system and opportunities to network and connect with industry analysts, associates, directors, vice presidents and other executives for a truly once-in-a-lifetime experience. Each visit was distinctive; however, several universal themes resonated among the different firms. First, use your network. Everyone should have a complete and up-to-date LinkedIn page that is professional—this is not Facebook. Reach out to alumni, or friends of alumni—ask to meet for 30 minutes or an hour for coffee and get feedback and information on internships, employers, etc.—the worst that can happen is they say no or do not respond. But, those who do are a great, if underutilized, resource. Second, work hard and demonstrate why you are irreplaceable by (1) arriving early or staying late when necessary to get the job done; (2) asking questions; (3) doing your job and working toward doing the job of the person in the next highest position (asking to do more than just your job—asking for additional responsibility); (4) doing what is necessary regardless of whether it is technically your job; i.e., being a team player; and (5) doing so ethically and legally. Student interest makes this course/trip possible; however, the students, faculty and administration send a heartfelt thank you to alumni, friends of alumni and others who help coordinate visits. This year we would like to thank Mr. Charles Heller (FINC, ’08), Mr. Andrew Doggendorf (MKTG, ’04), Mr. Jim Van Epps (MGNT, ’77), Mr. Jason Van Epps (FINC, ’10), Mr. Jack Jennings (College of Business Dean’s Advisory Board Member), Mr. Wayne Taylor (CFO, Lendmark Financial Services) and Mr. John Ramos (Société Générale). Without their efforts in hosting a visit or helping to secure visits, the level of student experience would not have been nearly as extraordinary. Read more about the Eagles on Wall Street trip in the upcoming Fall 2016 Eagle Executive magazine. The College of Business launched a new study abroad program for international business this spring. The program included MBA and undergraduate students accompanied by Dean Amason, along with faculty members Steve and Janet Moss. In addition to traditional classroom activities, the program featured trips to Barcelona and Madrid to visit businesses and significant cultural locations. Businesses visited included DIPLOCAT, ROCA Barcelona, Denso Barcelona, Campofrio Food Group and Tech Hub Madrid. The interactive visits were facilitated by senior managers at each company including the CEO of Denso Barcelona. More about the Business Abroad trip to Spain will be in the Fall 2016 Eagle Executive magazine. The 23rd Annual College of Business Golf Tournament took place at Forest Heights Country Club in Statesboro on Friday, May 13. Players were treated to perfect weather for a round of golf, enjoyed a great lunch with unlimited beverages, raffle prizes, a goodie bag that included a College of Business golf shirt and the opportunity to network with business leaders from across the state, all while helping Georgia Southern College of Business students through their donations. 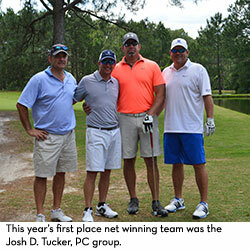 This year’s first place net winner was the team from Josh D. Tucker, PC—Dave Larkin, Joey Pittman, Chad Roberts and Josh Tucker—and first place gross winners were Rob Whitaker, Steve Carter, Carter Collins and Bryan Burke. Second place net winners were George Burnett, John Walls, Jerry Seber and David Holland, with second place gross going to the team from Southeast Roofing Solutions–Shawn Corbett, Michael Kitchens, Michael Kitchens, Jr. and Bryan Wiggins. Many thanks to all of our sponsors and to volunteers who helped make this tournament a success. The Business Innovation Group (BIG) announced earlier this month the receipt of a grant from the U.S. Small Business Administration (SBA) to fund a Veterans Business Outreach Center (VBOC) at City Campus in downtown Statesboro. In the nation, only 19 VBOCs exist, and Georgia Southern University is among the most recent to announce the opening of its own. The Georgia Southern BIG received a $1.5 million grant from the United States SBA to aid in funding of the university’s VBOC. The VBOC is designed to not only help veterans but also other service members who aspire to become business owners by providing the necessary resources needed to begin the process of creating a small business. 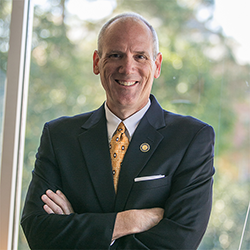 Jerry Burke, Ph.D., chair of the Department of Logistics and Supply Chain Management, talks about how the department and its students engage in the business community across the state and discusses the Supply Chain and Logistics Roundtable in Statesboro. BIG Café is a monthly networking event held by the Business Innovation Group (BIG) on the second Wednesday of each month. This month’s event was on June 8, 2016 at City Campus in downtown Statesboro. Local entrepreneurs, students and faculty gathered together in an effort to help one another solve business problems. As two local entrepreneurs presented, attendees enjoyed complimentary coffee provided by Cool Beanz and muffins provided by the DSDA as they gave invaluable feedback to the two presenters. 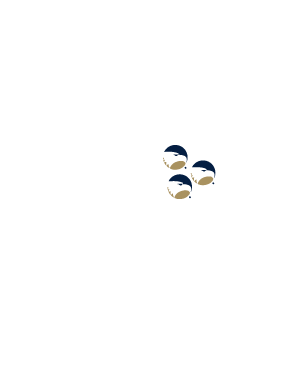 Coltan Magnant, with the Georgia Southern University Math Department, stated that Dan should “raise the rates and charge something upfront to make the client believe that it’s real.” Raising the rates could help with the brand image by making it seem more valuable. John Myers, with Personifeye, said to do an end around and start off asking, “What business problems do you have right now that you need more money [for], and tell them you can help them solve that problem with [your] service.” If a company needs instant cash flow, Dan will be able to provide this through his services. John Myers, with Personifeye stated, “You should take a look at investing in some search engine optimization as well as social marketing Facebook placement ads.” Dominique Halaby, BIG director, proposed that Yolonda begin “surveying after leaving a contract and having a very standardized set of questions that [she is] asking in order to quantify the return on investment.” This may help prompt potential clients to move forward with Yolonda because this will allow them to see a dollar value. BIG Café was a huge success thanks to everyone who attended and gave feedback. Also, special thanks to Dan Host and Yolonda Tremble for presenting and to our sponsors, David Hoyle of Cool Beanz, and Elena McLendon, DSDA. If you would like to present your business obstacle(s) at BIG Café, please contact Jill Johns at jjohns@georgiasouthern.edu or (912)478-0872. Attend the next BIG Café if you would like to come together to network, drink coffee and help other small business owners. Also, attend five times and you receive a free BIG Café coffee mug! Dozens gathered at the nearly finished Innovation Incubator on Thursday, June 16, 2016, during the Statesboro Chamber of Commerce’s monthly Business After Hours event. The event gave a sneak peek of the new space to the community. The Georgia Southern University College of Business announced the opening of the new downtown addition of the college. The Innovation Incubator will provide access to equipment and various pieces of technology such as Computer Numeric Control (CNC) machines and 3D printers to aid the local entrepreneur in achieving their goal. The incubator is scheduled to open officially in September. Starting at $75 a month, the center will rent work stations and private rooms for individuals to brainstorm ideas and create their visions. Along with private space, individuals will have access to professors, mentors, advisors, investors, patent lawyers and several other resources necessary to be a successful entrepreneur. Business Strategy Coach Jill Johns believes this will become a hub of innovation not only in Statesboro but also the surrounding areas. “For local entrepreneurs, the Innovation Incubator is the ideal springboard to launch a business. Daily access to business advisors, mentors, resources and training, coupled with formal and informal networking opportunities creates the perfect environment for success,” said Johns. “We are excited that the Innovation Incubator will play a crucial role in strengthening the local entrepreneurial ecosystem,” she added.